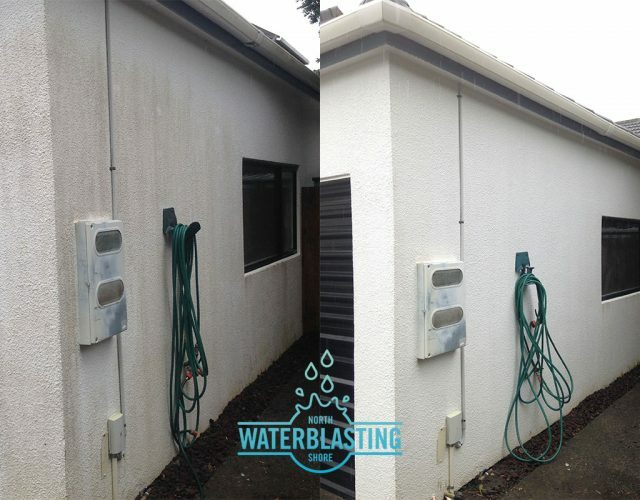 North Shore Water Blasting are your specialists in providing exterior care to residential and commercial properties, with an eye for detail, delivering effective and efficient services we will ensure you are left with a professional finish. 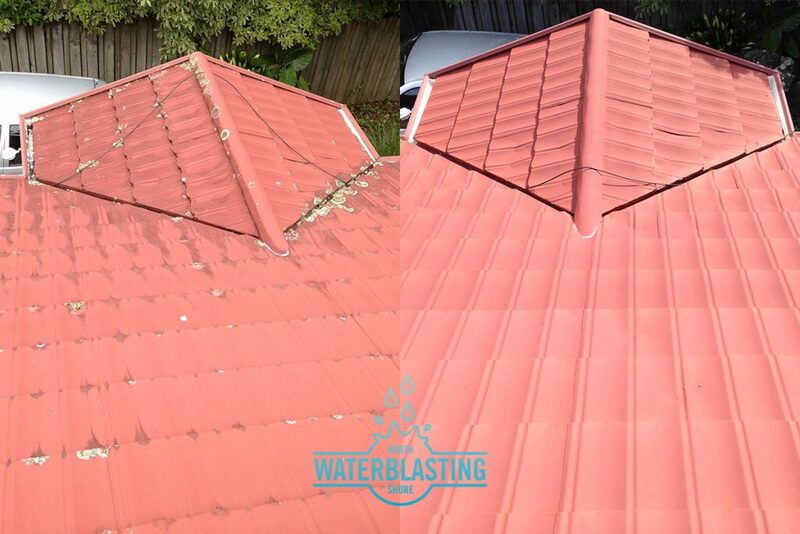 Ask for a free quote today to see how North Shore Water Blasting can help you. 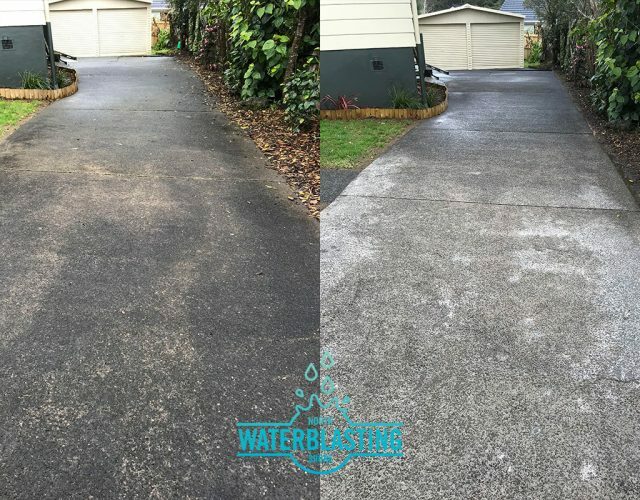 With the best rates and our go-getter attitude no job is to big or small, our list of services below that we provide extend across the wider Auckland region from Wellsford to Dury. 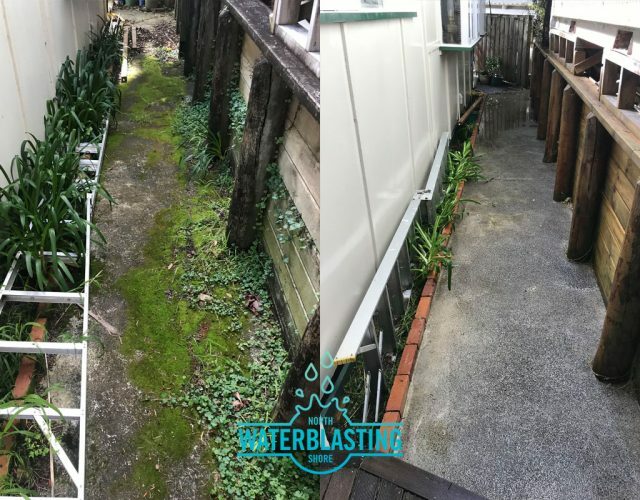 Low-pressure Chemical Wash, breaking down the dirt, grime and moss at its roots so it can be easily rinsed away. 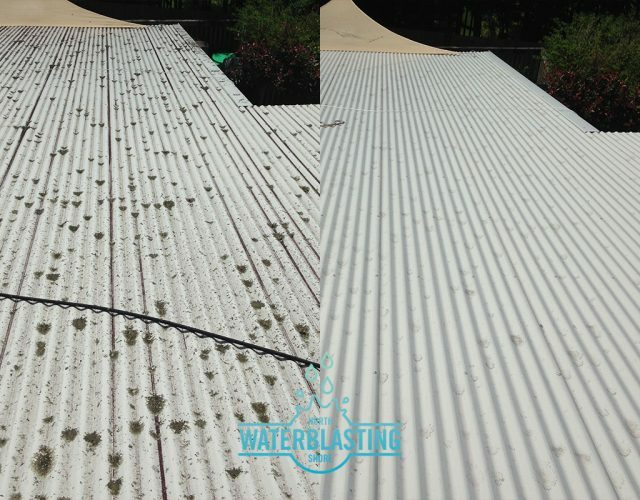 Our Eco-Friendly product directly attacks the build-up at the roots, leaving a fresh clean finish. 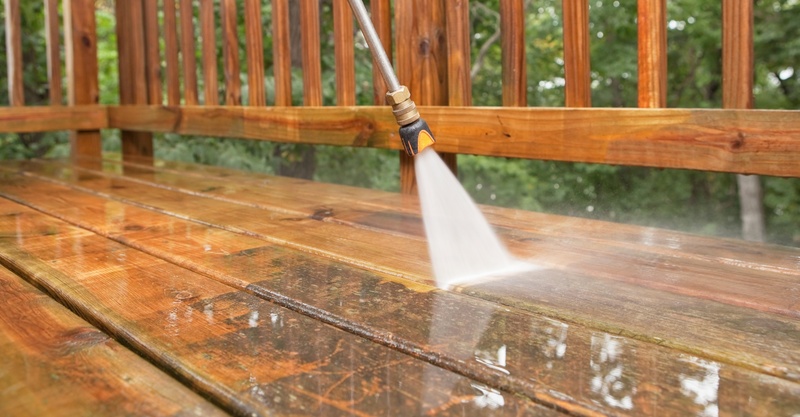 Using a high-pressure water blaster, we can remove dirt, grime, moss and lichen for an instant clean. 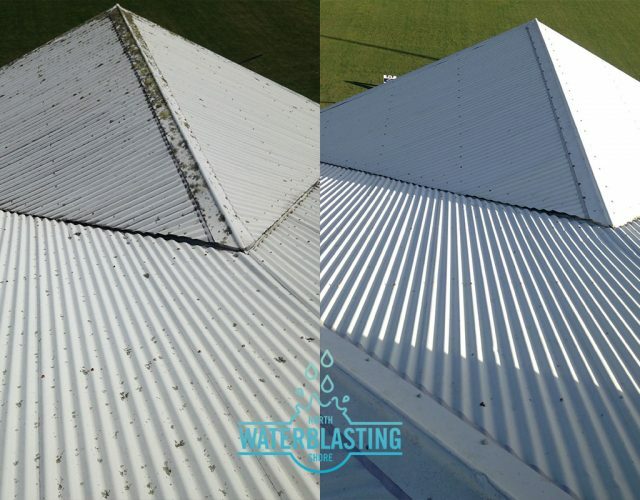 Once you have had your roof washed we can apply a treatment to your roof. 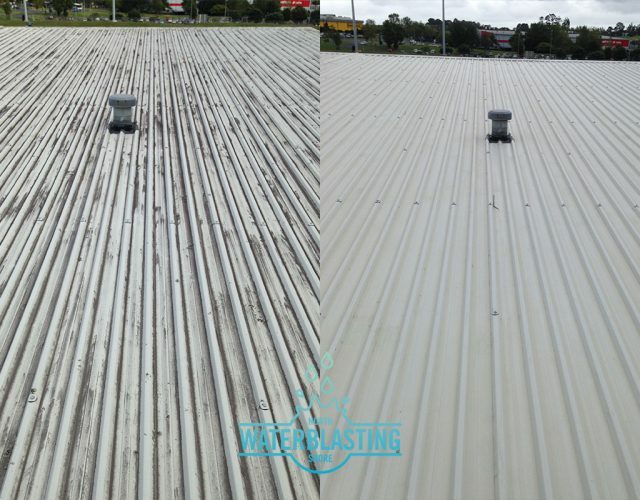 A treatment application will form a protective barrier on the roof, it will keep the surface of the roof clean for a longer lasting result. 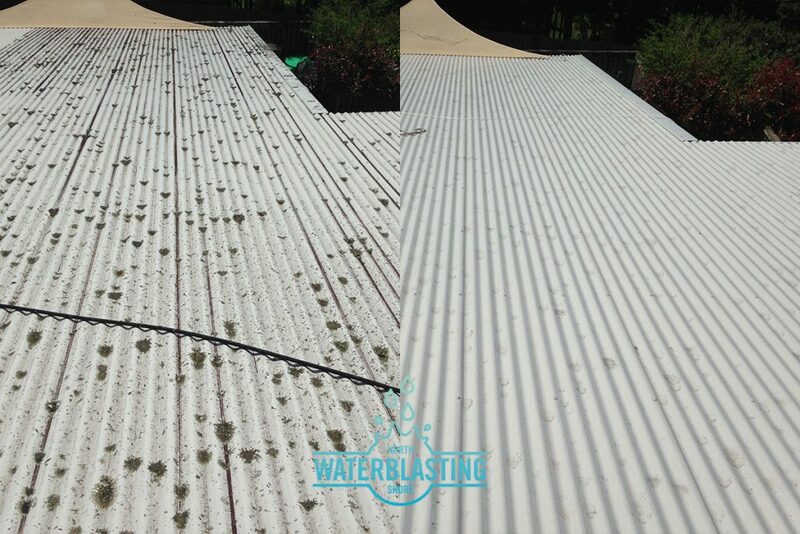 Our Roof treatment is a slow acting formulation, designed for the efficient killing of Moss, Mould & Lichen. this product penetrates spores over a period of 3 to 4 hours. This penetration results in the gradual withering & dying of the Moss or Lichen, & provides long acting protection from re-growth. 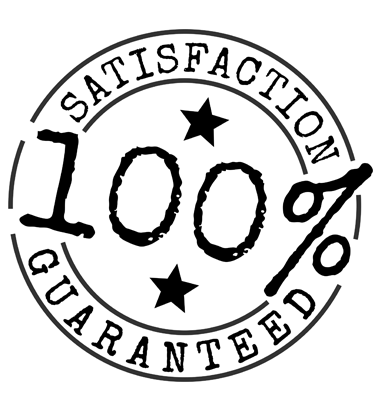 The infestation will naturally weather off over a period of six to eight weeks. 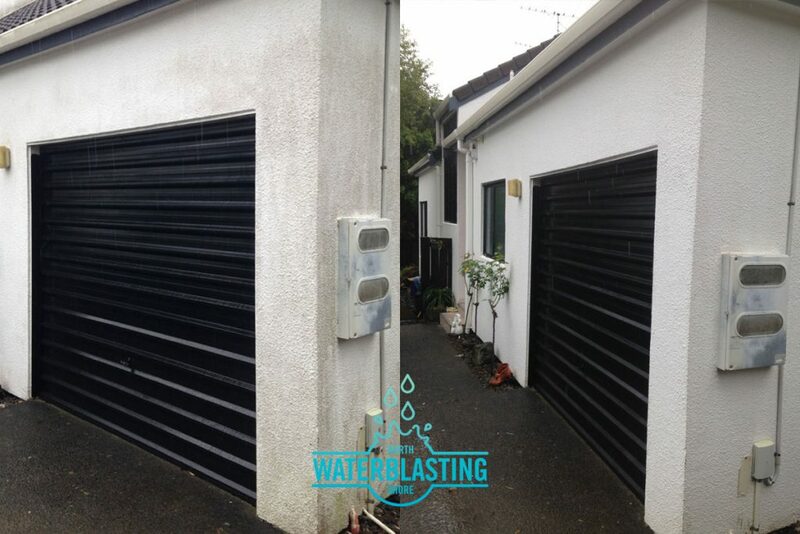 General gutter clear and clean (including exterior downpipes). 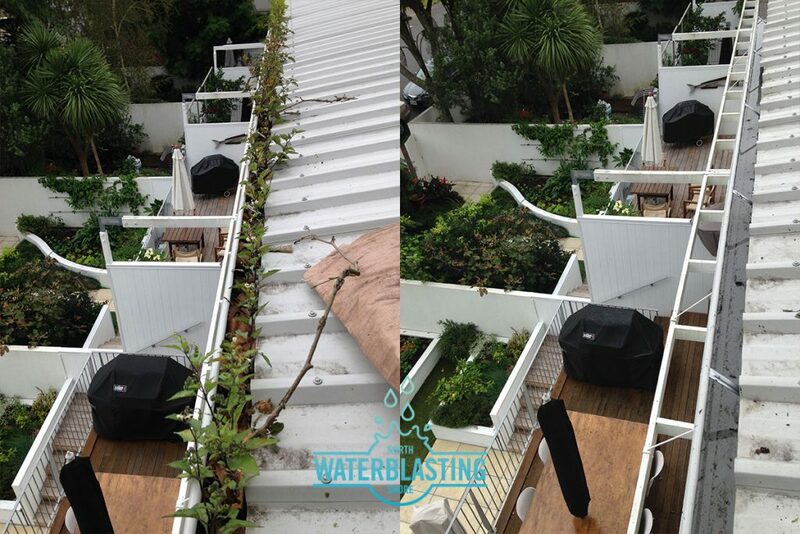 We can also install gutter guard to limit the amount of debris that could block your gutters. 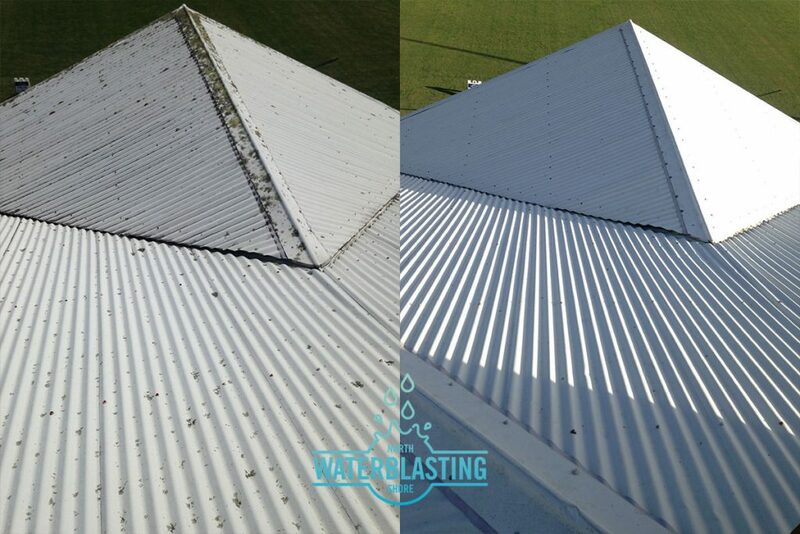 Gutter cleaning is essential for keeping your roof and internal areas free from blockages and potential water ingress. 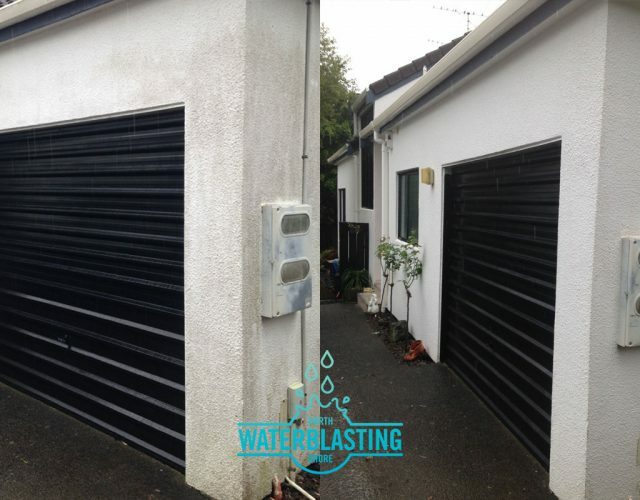 We recommend this as ongoing maintenance every 6-7 months, as debris, moss, mould and algae can collect. 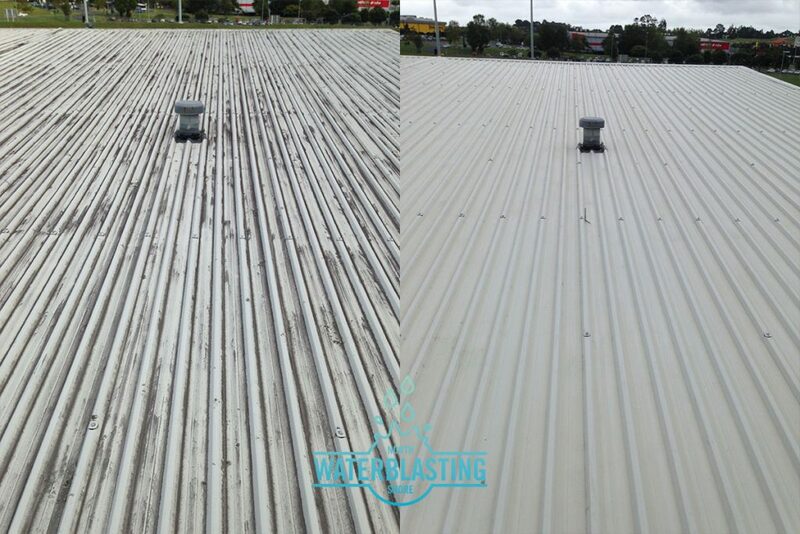 High pressure Water blasting is very fast and effective for pre-paint cleaning. Preparation is everything when you are planning to paint an area. 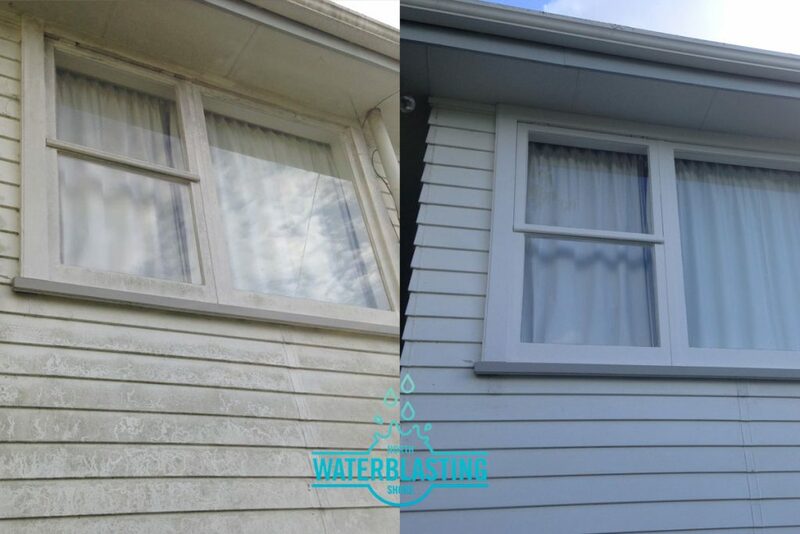 Before paint is applied it is vital that the surface is thoroughly cleaned with any old flaky paint is removed. 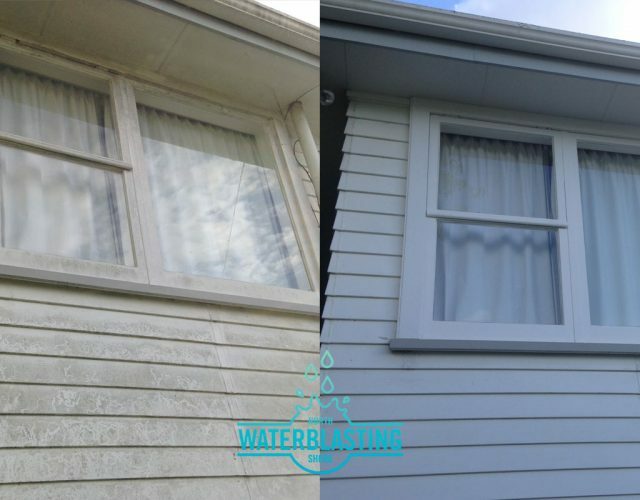 Remove any stubborn marks, stains, lichen and mould from the surface. 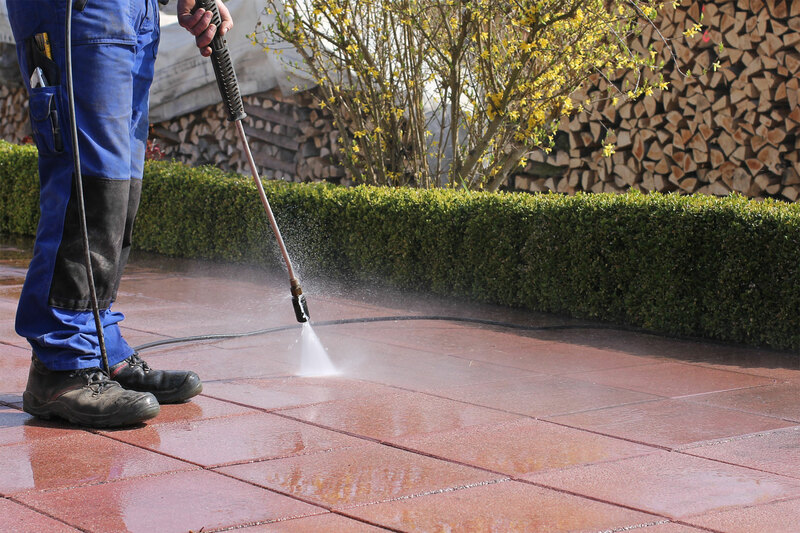 We can make your outdoor entertaining area (or any out-door surface) look amazing by using our high-pressure surface cleaner. 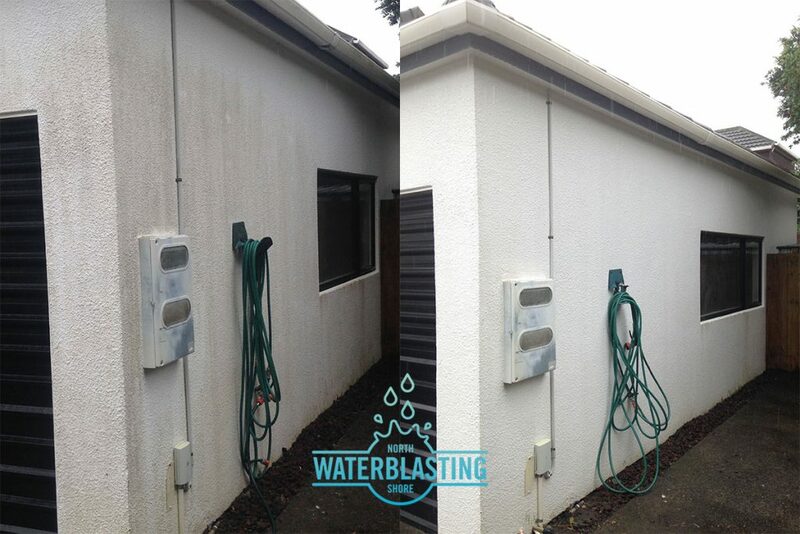 Using a high-pressure water blasting surface cleaner that will remove any stubborn marks, stains, lichen and mould from the surface. 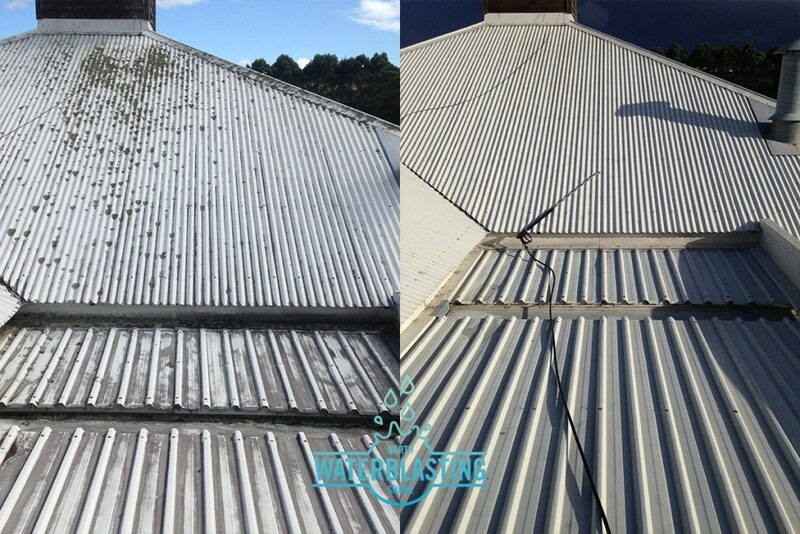 This will stop birds from nesting under your roof and eliminating any leaf or dirt build-up inside the gutters. 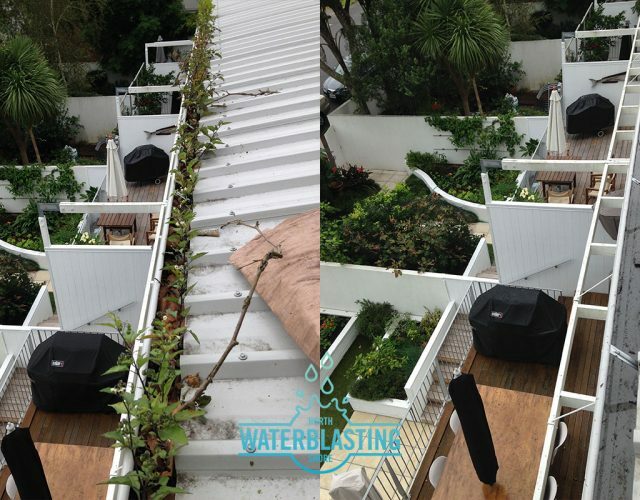 We have picked the best gutter guard on the market that has the strongest bristles. 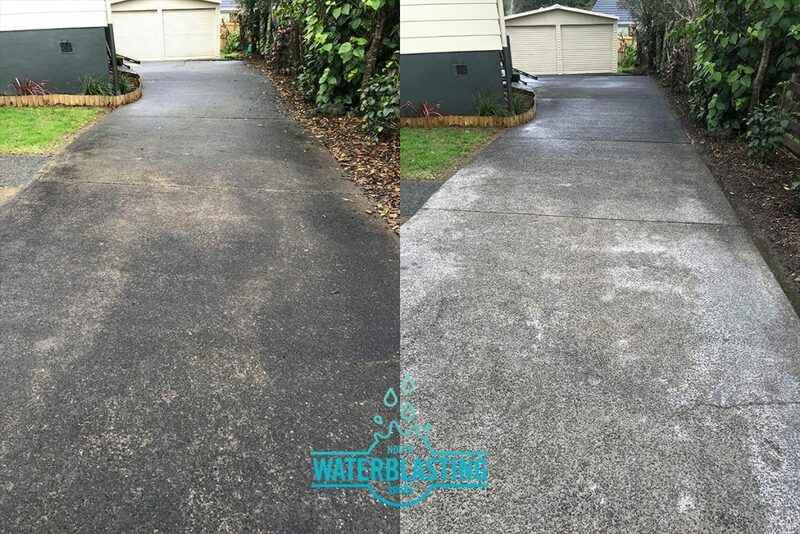 Ronnie did an amazing job waterblasting my driveway and path. Kept in contact and showed up when he said he would. Highly recommend. Ronnie did an absolutely excellent job cleaning the roof and gutters of my house. Not only was the roof spotless after he finished, but he cleaned up all the debris that fell from the roof and rinsed and squeegeed all our windows as well. 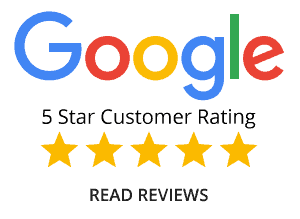 He sets very high quality standards for himself and has an outstanding work ethic. I recommend him highly to anyone who needs their roof cleaned. The next time I'm in the market for roof and gutter cleaning I will definitely use him again! Ronnie turned up when he said he would and left the place sparkling. 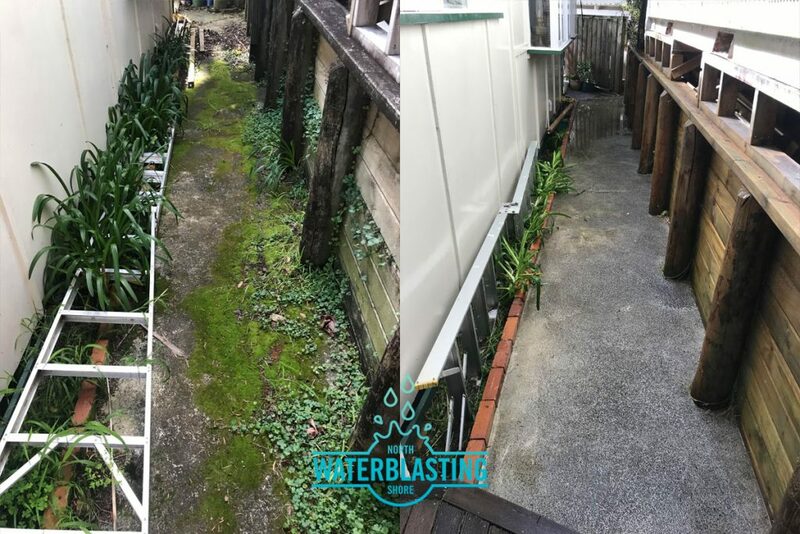 Ronnie did an amazing job cleaning the outside of our very dirty rental property. He turned up on time, was very efficient, did more than he was asked - he even repaired our guttering! Ronnie made an old property look like new! 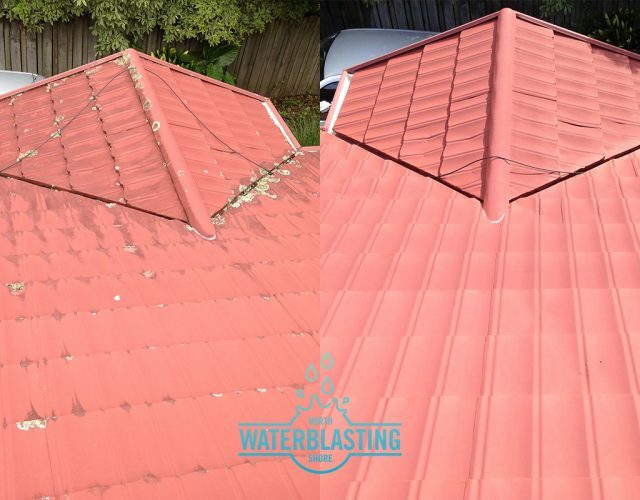 I totally recommend North Shore Waterblasting Ltd.
Ronnie did an absolutely excellent job cleaning the roof and gutters of my house. 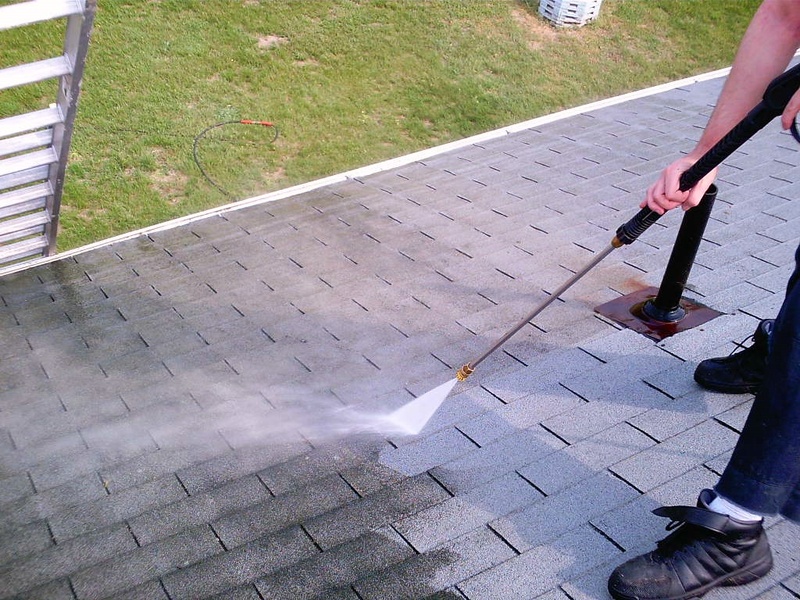 Not only was the roof spotless after he finished, but he cleaned up all the debris that fell from the roof and rinsed and squeegeed all our windows as well. 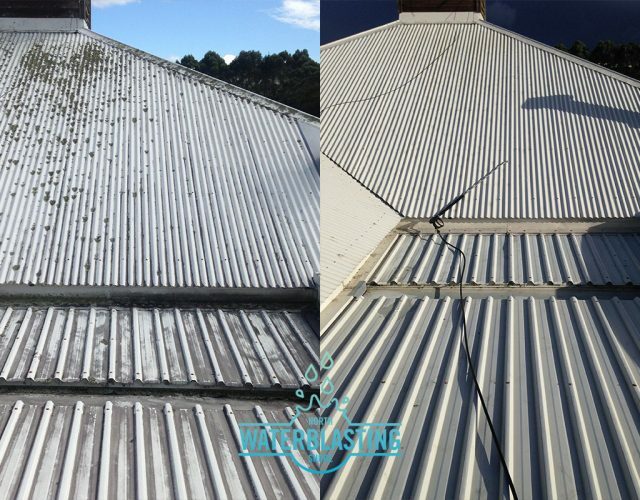 He has an outstanding work ethic, high quality standards and I recommend him highly to anyone who needs their roof cleaned. The next time I'm in the market for roof and gutter cleaning I will definitely use him again! 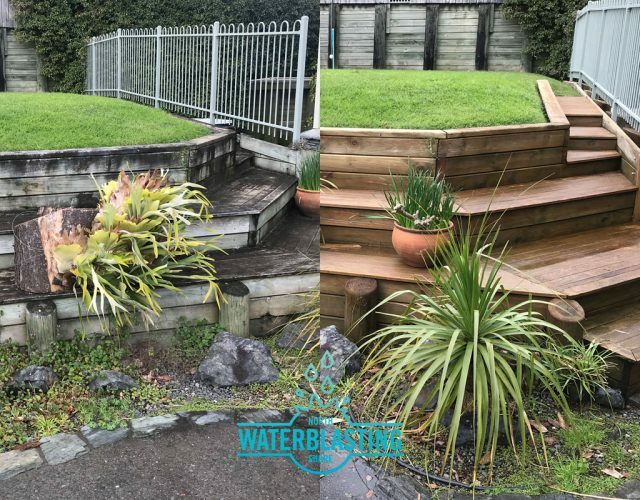 We've used North Shore Water Blasting on a number of occasions and found Ronnie to be super professional, reliable and get the job done. We'll be using him regular this summer. 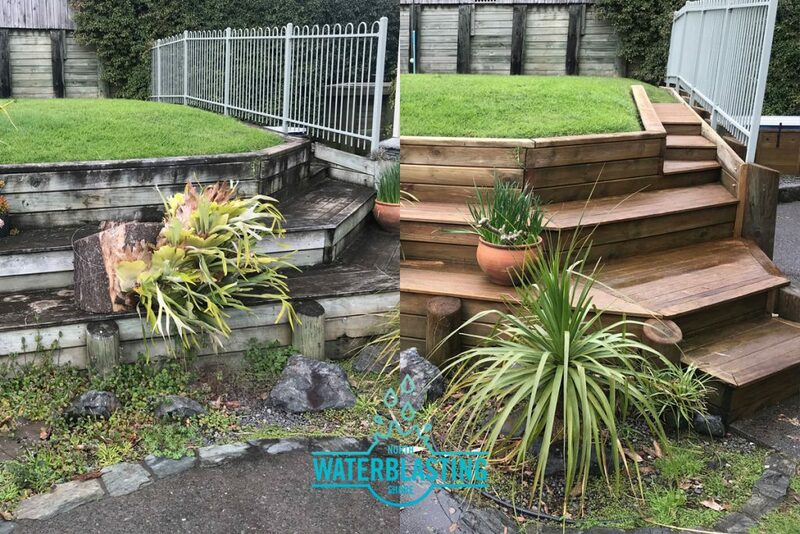 Really happy with the results , Ronnie is amazing person and did extra jobs around the pool area . My deck looks like new again and the work was done amazingly well. I would highly recommend him to anyone for any job , small or big . © 2019 North Shore Water Blasting. All Rights Reserved.